Tarangire, Serengeti and Ngorongoro crater are some of the biggest game reserves in east Africa. They have a variety of wildlife including but not limited to see lions, giraffes, zebras, buffaloes, hyenas, hippos, vultures, : pythons, oryxes, eland, servals, caracals, secretary bird, crocodile, black rhinos and so much more. In this seven day safari package you will have at least an entire day or more to explore each of these amazing parks rather than just a few hours. Day one is for arrival in Tanzania. You will be met at the airport by one of our agents and transferred to a hotel where you will spend the night. a very a early breakfast and an early morning ride to Tarangire national park is how day two starts off. You will spend the entires touring the park, enjoying game drives, and some guided walks if you want to. The park has a large wildlife population which includes large numbers of elephants, giraffes, zebras, hippos, antelopes, lions and so much more. With our experienced safari guides you should be able to see most of these and a few others that haven’t been mentioned. Serengeti national park is one of the seven wonders of the world and this is where you will spend more than two days of your 7 day safari holiday. In the morning of day 3, you will drive to Serengeti national park and go on a game drive in the northern section of the park. Be sure to carry a packed lunch which you can enjoy during your lunch in the park at the Serengeti visitors centre. 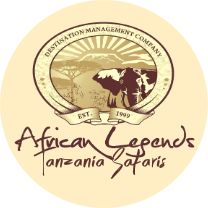 While at the visitors center you can get as much information about the par as you want and be assured on what to expecte for the rest of your Serengeti tours. The center has a few sights of its own such as te hyraxes, which are quite common in the area. After lunch you will do some more exploration of the northern Serengeti, and then retire for the evening. Day two in Serengeti national park; this time you will go on game drives in the southern section of the park. In this section expect to see the big 5, and other animals such as zebras, caracals, antelopes, hippos, leopards, and cheetahs. There are also numerous bird species in the area. 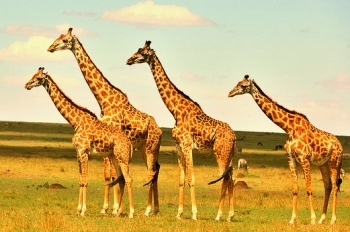 On day five you will enjoy one last visit to Serengeti national park. This time you will go on a game drive in the North-western section of the park close to Lake Victoria. You will visit the more remote parts of the Serengeti. Afterwards you will move on to Ngorongoro crater. Ngorongoro conservation area is famous for its high concentration of wildlife especially in the crater. On your game drive in Ngorongoro on day 6 you are likely to see hundreds of wildebeests, zebras, elephants, Thompson gazelles, and so many other animals. There are animals everywhere you look in the crater. You will see some predators such as lions, leopards, and cheetahs as well. Rare animals such as the rhinos are quite an easy sight in Ngorongoro. Day seven is departure from Ngorongoro to either Arusha, or straight to the airport and back home. 3 Days Safari Serengeti Ngorongoro.